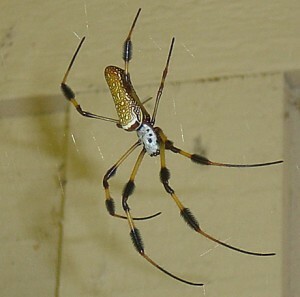 SHIFTboston blog» Blog Archive » How About Spider Silk Instead of Steel? How About Spider Silk Instead of Steel? It is amazing what we can gain from just looking at mother nature — instead of taking from her. Did you know that real spider silk is stronger than steel? Believe it or not, spider silk is about four to five times stronger than steel while it is also lightweight and flexible. Spiber, a start-up in northern Japan, is one of several groups looking into how to make artificial spider silk, a task that has proven to be very challenging for scientists. The territorial nature of spiders makes them difficult to farm like silkworms. Spiber’s scientists have figured out a way to synthesize the genetic sequence in spiders that manipulates amino acid to produce silk. By emulating this process, the team has been able to culture microbes — as a spider would — into fibroin, the structural protein in spider silk. 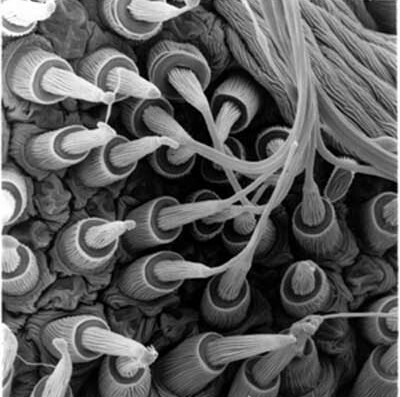 The fibroin then can be woven into silk. Kazuhide Sekiyama established Spiber with fellow Keio University graduate students in 2007, racing to be the first group to release this technology. The team is calling the material Qmonos from the word kumonosu, or “spider web,” in Japanese. This new technology could benefit a number of industries. It could be used in the medical field to make film, gels, sponges, artificial blood vessels, and nano fibers. The automotive and aeronautics industries are another avenue. Spiber has already begun to partner with auto parts maker Kojima Industries to build a plant that can produce about 220 pounds of the synthetic silk per month. Spiber is aiming to have 10 tons in production by 2015. Perhaps this new technology — which is stronger and lighter than steel and more flexible than nylon– could be used to improve products in the construction industry as well. Biomimetics — the study and emulation of natural systems and processes — are essential methods by which to improve our environment and our built world. By tapping into natural systems we can find ways to conserve energy and resources to reduce our impact on the environment. For example, steel is considered a sustainable resource because it is 100% recyclable but this is not an accurate assumption. It takes 62,000 gallons of water to process 1 ton of steel. After production, the water is toxic and must go through a significant treatment process. One must also consider the energy required for the steel production and water treatment process. It simply isn’t sustainable. Could artificial spider silk be a sustainable alternative? Consider the following: spider silk can be produced through a low-energy microbial fermentation process which does not require large amounts of water and/or fossil fuel, and has minimal impact on the environment. Perhaps an airplane with a frame made of spider silk fibers is in our not-so-distant future? Of course there are a number of important unanswered questions, is the product fire-rated and how much does it cost? But until we know more, I suggest we begin to envision how spider silk technology might transform our buildings! When we talk about steel, the first thing that comes in our mind is the strength and portability of the same. What if the purpose can be served with much more reliability because of spider silk? I think this is something every one will admire and want to know about for sure. I would say go through the above post and know the same better.